Environmentalists counter that the massive new supplies unleashed by American advances in extracting natural gas from shale doesn't just make coal-fired power plants less competitive. LNG also competes with such zero-carbon sources of electricity as nuclear, solar and wind—potentially delaying the full adoption of greener sources. That's time climate scientists and researchers say the world doesn't have if humans hope to mitigate the worst-case consequences of our carbon emissions, including catastrophic sea-level rise, stronger storms and more wildfires. 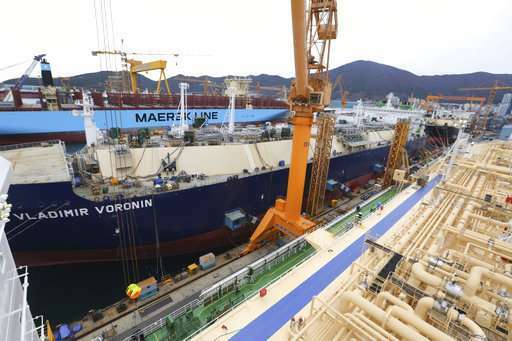 South Korea's big three shipbuilders—Daewoo, Hyundai Heavy Industries and Samsung Heavy Industries—won orders for 53 new LNG carriers in 2018 at about $200 million each, soaking up the lion's share of the 62 vessels ordered globally, according to numbers compiled by the London-based shipping group Clarkson Research. 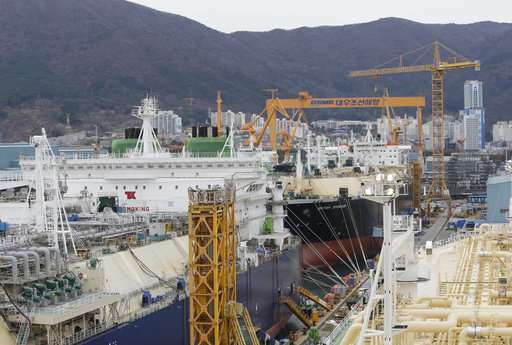 South Korea is expected to finish 2018 at the top spot in overall orders for new commercial ships, surpassing China for the first time in seven years. 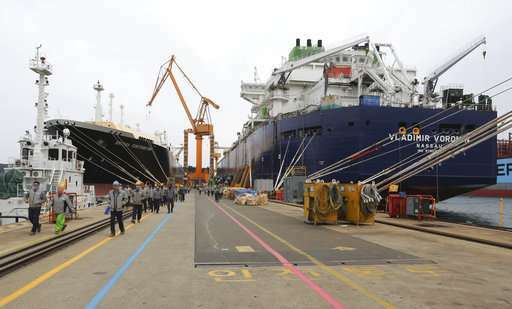 The British Contributor is as long as three football fields and can carry enough liquefied gas to fill about 70 Olympic-sized swimming pools—nearly two days' national supply for South Korea. 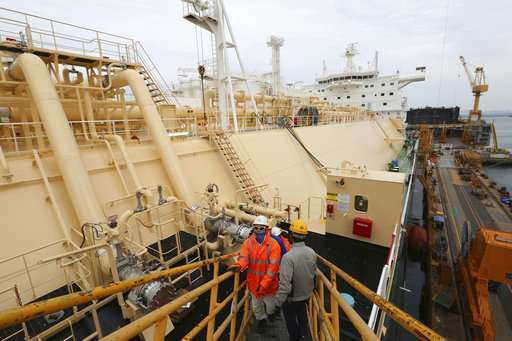 The country used about 1.9 trillion cubic feet of LNG in 2017, finishing third behind China and Japan as the world's biggest importers, according to data from the U.S. Energy Information Administration. 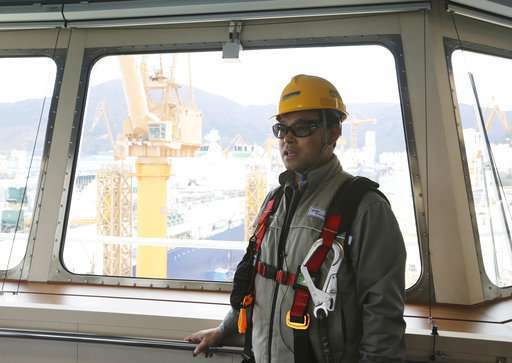 Park Moo-hyun, a senior analyst at Hana Financial Investment, predicts shipping companies will need to place orders for around 480 new LNG carriers over the next decade to match the U.S.-driven increase in global LNG trade—roughly doubling the current worldwide fleet. 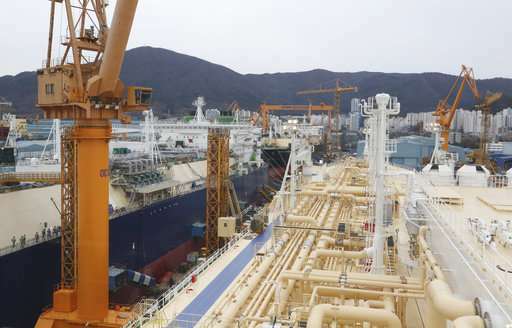 "The impact brought by the emergence of shale is not just about an increase in U.S. energy exports—there has been tremendous growth in the production of energy sources that hadn't been used much, such as LNG," Park said. "Once the groundwork is established for the stable use of these new energy sources, industries are pushed to adapt." Another challenge is that the primary component of natural gas is methane, a potent greenhouse gas that traps far more heat in the atmosphere than a comparable amount of carbon dioxide. 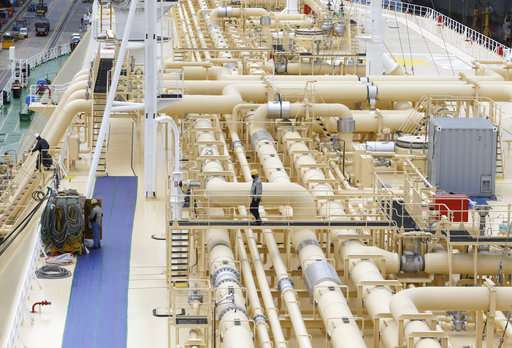 Studies have shown that a significant amount of natural gas leaks into the air at almost every stage of its production and transport—from wells to pipelines, processing facilities to ships. Raimi said the impact of all that leaking methane on the climate is roughly 84 times more powerful than the same amount of carbon dioxide over a 20-year time frame.